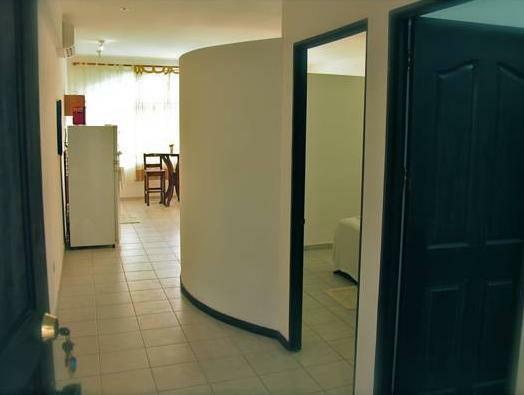 ﻿ Best Price on Plaza Royal Apartments in Santa Teresa + Reviews! Located just 492 feet from Santa Teresa Beach, Plaza Royal Apartments offers a café and air-conditioned apartments with free Wi-Fi. Surf shops, bars and restaurants can be found within a 15-minute walk. Each Plaza Royal apartment has a living-dining area with cable TV and a kitchenette with an oven, hob and fridge. Bathrooms include a shower and free toiletries. Daily maid service is provided. Staff at the Plaza Royal can arrange activities and tours in the local area. Transfers to Daniel Oduber International Airport can be arranged at an extra cost. Free public parking is available nearby. Please note that the total amount of the reservation must be paid in advance. Once a booking has been made, the hotel will contact the guest directly to arrange payment by bank transfer.